I can build your website up to 5 pages from only $299*. You are reading this right. Now you must be curious why I can do it for so cheap? This is because I have built my own PHP framework to build content based websites and it speeds up the development process a lot compared to other website developers and the savings are passed back to you. As long as you are not extremely picky, $199 is the final price for you. * Template based website and one design mock-up only. Taxes and website hosting fee is excluded. For NZ customers, 15% GST is payable on all balances. Ivor ERP eCommerce is developed with multiple store outlet in mind, flexible currency based prices, and with integration with your store point of sale system and Trade Me store. It can be the most economical solution to those small businesses who needs to expend. Also it is good for start-ups, with its most pre-built modules, I can tailor it extremely easy for any kind of requirements. WordPress is probably the most popular content management system in the world nowadays. Many websites including the my site that you are viewing now is powered by WordPress. I’d recommend if you are primarily looking at building a website with a lot of content based and may from time to time add into or edit a lot of content on, you can highly consider WordPress for such purpose. WooCommerce as an open source plug-in to WordPress CMS is also a good option for start-ups. If you are however considering complex business logic and back-end operations instead, I do recommend you to choose our own ERP system instead. My price for WordPress development is from NZ$600 depending on how fancy or complex you want your website to be. I have been using Opencart for many years before I developed my own ERP system. If you are primarily looking at building an eCommerce driven website and open source software is your preference, I’d recommend you use Opencart. Compared to Magento and WooCommerce, Opencart is a lot more convenient when it comes to managing your products, customers and orders. With its MVC framework, it is very easy to build plug-in or develop further with it. Although if you are potentially planning to operate across multiple store outlets, then I wouldn’t primarily recommend it because it will involve in a lot of customisation to suit your business. Kindly take a look at Ivor ERP System and its eCommerce option if this is case. 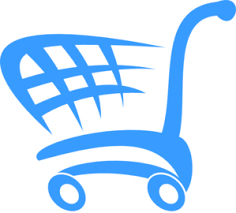 My price for an Opencart website is from $800 depending how much customisation is required for your website. All prices showing above is in New Zealand dollars and New Zealand domestic customers is subject to 15% GST payable on all balances. You can open a sales ticket for any questions you might have by clicking on the “Contact” button below.